If you’ve ever suffered from any type of back pain, you know that this condition can be quite serious and often debilitating. Some people will experience such a strong amount of pain that they have a difficult time walking or even getting out of bed in the morning. When a person experiences pain to this degree, back pain relief is necessary so that they can begin functioning normally again. This is no joking matter, and thankfully chiropractors can help to relieve the low back pain so that patients can begin to experience life without feeling excruciating pain in the lower back region. How Can a Chiropractor Treat Low Back Pain? For the most part, the chiropractor is going to perform a specific set of treatments that are perfect to help alleviate the pain in a person’s lower back. They will perform manual therapy of two different styles that will allow the patient to experience some measure of relief. Some people are lucky enough to experience relief immediately. 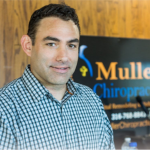 Others need to undergo chiropractic treatments on multiple occasions for weeks or months at a time, where the pain will gradually lessen as time goes by. You never know how you’re going to respond to this type of treatment until you give it a try, so it’s worth it to contact the chiropractor as soon as possible. The main type of treatment that a chiropractor will use for low back pain is spinal manipulation and manual manipulation. When a chiropractor manipulates the spine manually, a certain maneuver will be used to manipulate the abnormal vertebrae. The overall goal is to reduce nerve irritability, restore range of motion and improve functionality of the lower back. The only way to know for sure if this treatment will work is to give it a try. Do not immediately dismiss this option because of preconceived notions. Many people walk into a chiropractor’s office thinking that nothing will help, and throughout the course of their treatment they realize that chiropractic care is playing a major role on their road to recovery. Mobilization is another way to help eliminate lower back pain. Chiropractic mobilization is a form of a low velocity manipulation. This movement will stretch out the joints and muscles, and the overall goal is to improve the range of motion by increasing it in those particular areas.